We had our first Super Nintendo related art contest during April-May 2018 on Game-Art-HQ and got a good couple of excellent submissions. One of them was the “Bin Chicken” Final Fight Tribute by Tom who is a big fan of the game and its sometimes really funny gameplay features. I love how Tom picked this little detail for his Final Fight submission to our contest, it made me smile when I saw it the first time and it almost made it into the top three picks of our staff as well. We need to have a Arcade or NeoGeo contest sooner or later, alone already because the Metal Slug illustration he would probably do! 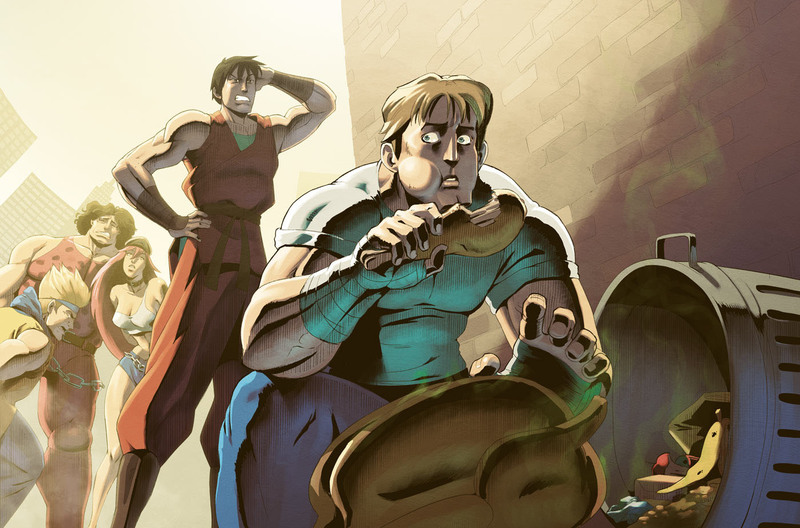 If you like this artwork and you care for Final Fight and its characters, you can find the ones above in our VG Character DB already, also check out Tom’s own website 2dforever or his profile on deviantART!